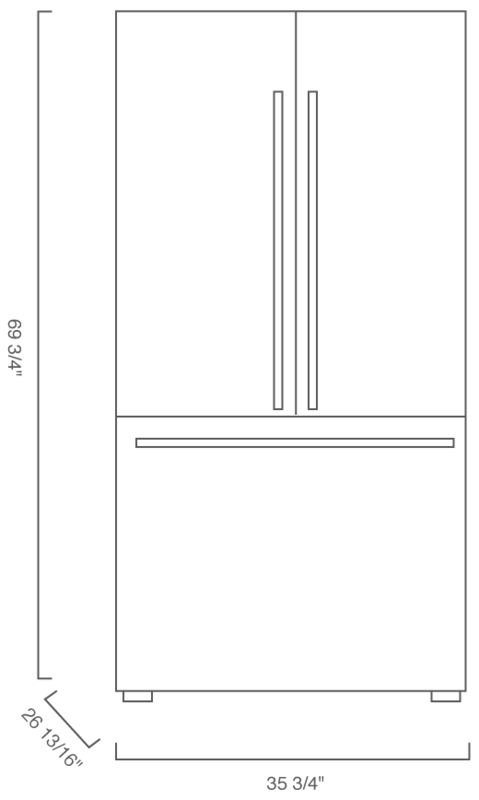 36" Counter Depth French Door Refrigerator is rated 3.5 out of 5 by 13. Rated 1 out of 5 by Marl from Wish I could return it! 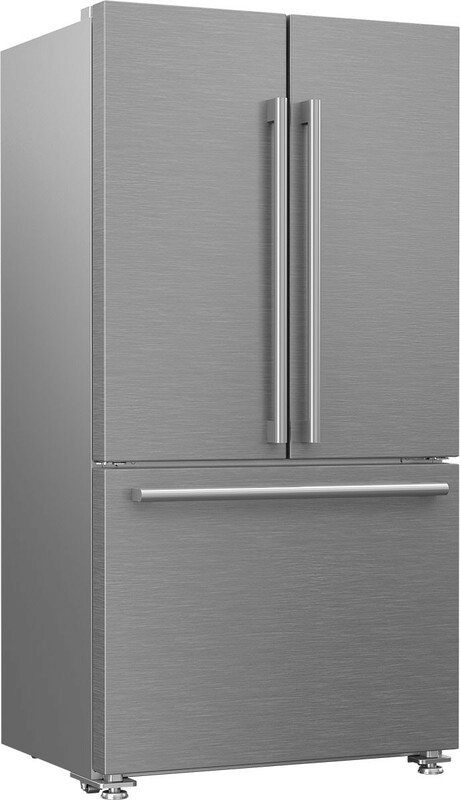 It is pretty and the smudge proof stainless finish surface is great but, that is not what refrigeration is about! The fridge temp has to be set at 36 degrees for the actual temperature to be at 40 degrees and the freezer compartment cannot be made warmer only colder. The freezer compartment is consistently between -5 to -15 degrees and there is no way to make it warmer. Also, I do not like that the interior temperature read out represents the settings rather that what the actual temperature is. I have had to by two thermometers, one for the fridge and one for the freezer, to know what the actual temperature is. Customer service is very good. A severe person was sent to change the temperature panel. The service person was prompt and friendly. Rated 5 out of 5 by Maria from Efficient and effective use of space inside. We bought our refrigerator a few months ago. We went with the counter depth and I'm so glad we did. 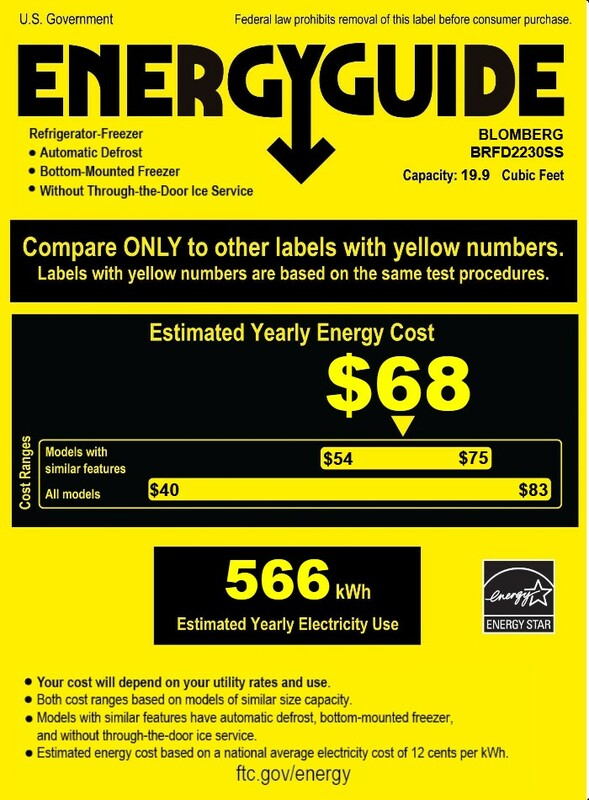 Although the cubic feet of our refrigerator is smaller than our original one, I feel like the Blomberg is spacious inside and really don't see any noticeable difference. Every inch of space is used. The shelves and drawers are sturdy and easy to keep clean. I love the egg holder and ice cube bin with scooper. I am soooooo glad we made this purchase. 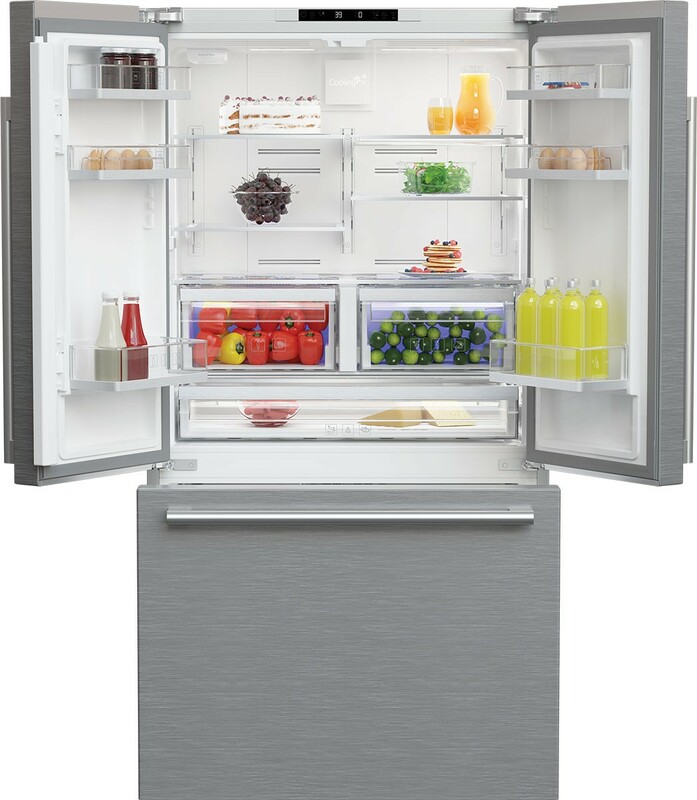 The Blomberg by far is the best refrigerator we have ever had. I love it! Rated 2 out of 5 by Czstu from Great if it all worked Bought the fridge beginning of June, store says still can't get parts to fix it. Louder than any fridge have, repair man said due to the type of compressor they use. Main control board had to be replaced and ice maker did not work, leaked water all over freezer and floor. Repair man replaced ice maker, still did not worked leaked all over freezer and floor again. Told us he can't get right parts for this because it is a Bloomberg and no body has them. Three months later we are still fighting with store to return the fridge to get one that works. They continue to tell us parts needed will be in, just on back order for another month. No, just take it back. Can't imagine if it was something more than the simple ice maker that needed to be fixed. We would be waiting for over 3 months to get anything fixed, no way take it back! Lesson learned, don't buy any brand that can not be easily serviced with access to parts. Something will always break. Just hope it doesn't get delivered broken, then you have a fight to return it. Definitely, don't let them continue to try and fix it. Force them to take it back right away!!! Or you will be like us 4 months with a new fridge that doesn't work still fighting. Rated 5 out of 5 by Happy Customer from Love It I bought this refrigerator 3 weeks ago. I wanted a refrigerator with filtered water and an ice maker. I wanted the ice maker in the freezer not the refrigerator. This ice maker makes a lot of ice. The ice cubes are small which I like. The Ice bin is a closed in drawer in the freezer which is great. The refrigerator is very quiet. This model is smaller than my old refrigerator yet it seems like I can put more in it. I love the pull out pantry drawer. It holds so much food. My fruits and vegetables stay fresh longer due to the blue light technology. The filtered water dispenser in the refrigerator is great. The water is cold and fits any size glass or bottle. 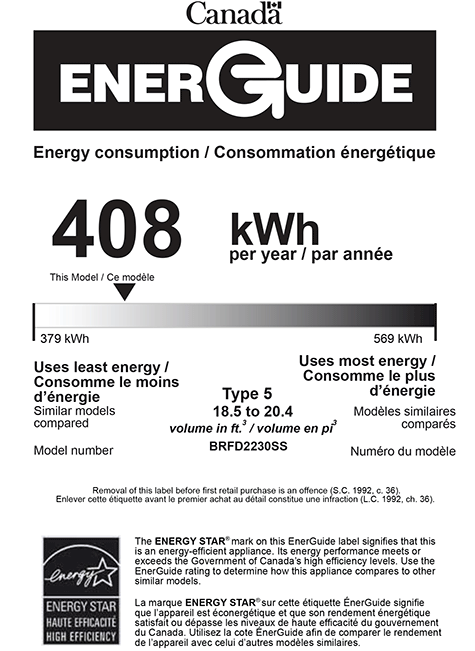 I fill my 12 cup electric peculator every morning with no problems. I spent several weeks reading reviews of every refrigerator and going to many retail stores to check them all out. In the end I decided on this brand and model. I made the right choice. Rated 5 out of 5 by Customer8 from Wonderful Refrigerator! I have had this refrigerator for approximately one month and am very pleased with it. The interior has plenty of space for storing food. Stored items are easy to see and access. Fresh fruit and vegetables stay fresh -- much longer than in my old refrigerator. The adjustable shelves are a breeze to remove and clean (one of the reasons I liked this brand/model over others). The ice maker works great and creates small size cubes that are the ideal size for using in my sports bottles. The temperature controls work perfectly and the controls are conveniently located and easy to use. 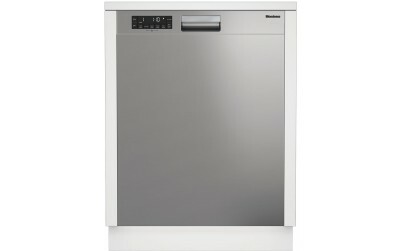 The exterior is very sleek looking and the stainless steel finish is easy to clean. I really like the bottom drawer freezer. I find it much more convenient to have the freezer at the bottom. 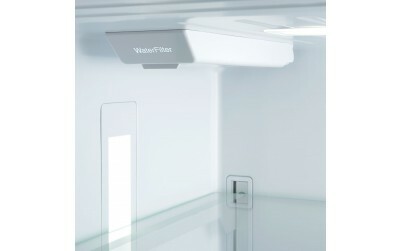 The freezer drawer is roomy and it freezes food quickly. The refrigerator stands in a tight space (there is a wall on one side of it), but I am still able to open all the interior drawers when the doors are open perpendicular to the floor -- a feature not found in other brands/models. The only negative about this refrigerator is that there is not room in the door to hold an entire carton of eggs. An egg tray is provided that will fit if you don't mind storing them that way. 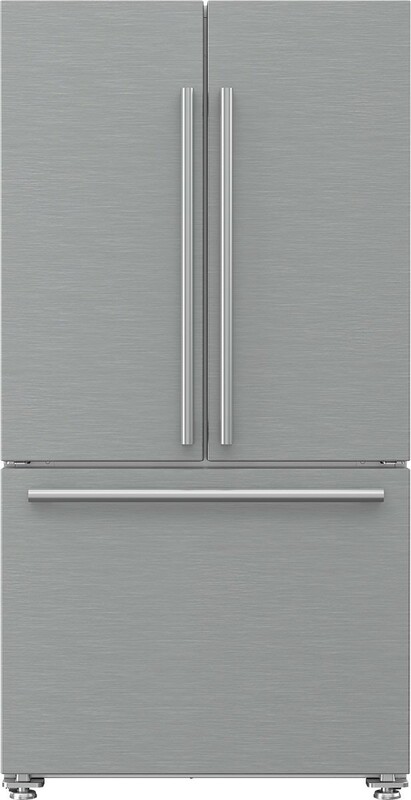 Overall I am delighted with this refrigerator and would not hesitate to recommend it to others. Rated 5 out of 5 by Emily from Well designed Our family of four has had this refrigerator for over a year. Good size, nice layout. It has been problem free. No complaints. It was hard to find reviews when we were researching it. We don't have water line hooked up to it so can't comment on that feature. Rated 2 out of 5 by Big Ed from Don’t Several issues since taking delivery of my Brfd2230 in 8/2016 Doors don’t close properly , have to replace center flap already Digital display broke. Had to have that replaced Freezer draw is extremely loud. Squeaks Every single time you open it.